A passionate performer and educator, Livio Fasullo is a jazz saxophonist, woodwind doubler, composer and teacher based in Rochester, NY. A native of Albany, NY, Livio studied both jazz and classical saxophone before moving to Rochester in 2015 to pursue a double major in Jazz Studies and Music education at the Eastman School of Music. 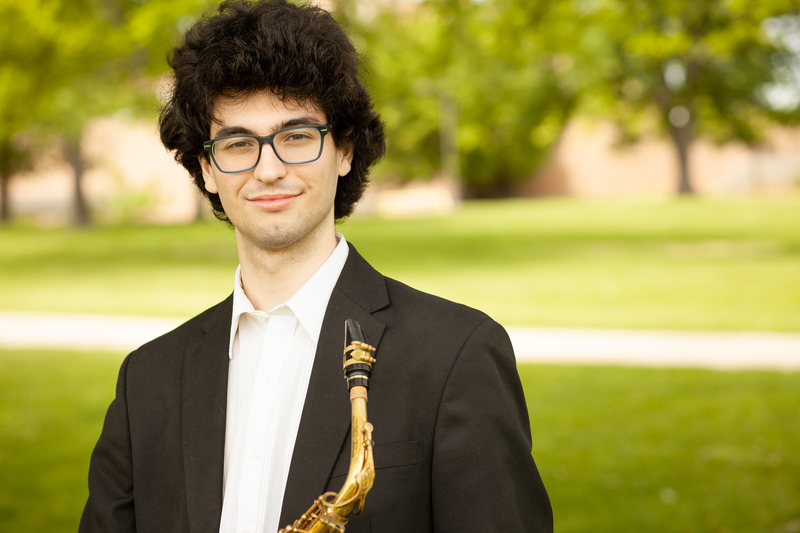 Livio was inspired to pursue a career in music after attending the Skidmore Summer Jazz Institute in 2014 where he studied with saxophonist Antonio Hart. Livio founded the group “The Hudson River Jazz Quartet” in 2017 which frequently performs at various Albany, NY Jazz venues such as the Daily Grind, Savoy Taproom, Speakeasy 518 and Madison Pour House. Livio has also participated in community outreach concerts such as the March 2017-8 concerts at East High School in Rochester, NY organized by the Eastman Diversity Committee. In the summer of 2018 Livio attended the Fresh Inc Festival in Kenosha WI, to focus on gaining knowledge and experience in contemporary chamber music and music business. As an educator, Livio has taught privately at the Cady School of Music in Albany. Livio`s past teachers include Charles Pillow and Dave Fisk and has taken lessons from Jimmy Green, Antonio Hart, Loren Stillman and Dave Liebman. Livio has performed with various groups in venues such as Troy Savings Bank Music Hall, Carnegie Hall, Eastman Theater and Constellation in Chicago.